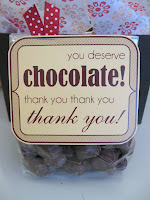 Sack is approximately 5"x7" and will come in black or purple. 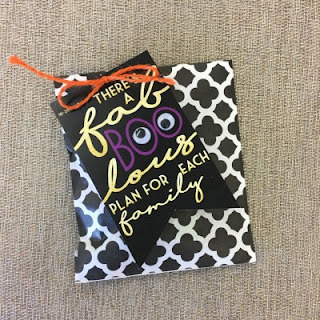 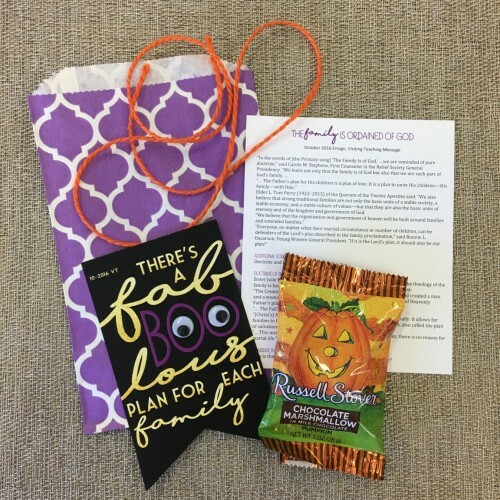 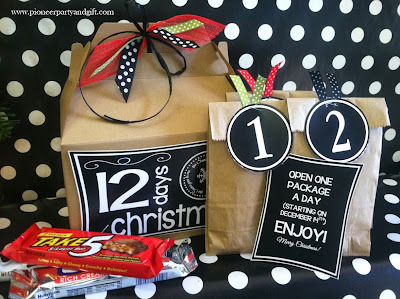 The tag reads "There's a Fab-BOO-lous Plan for Each Family"
Ready for a SPOOKTACULAR Family Home Evening? 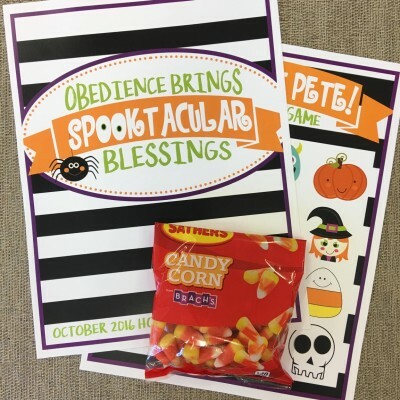 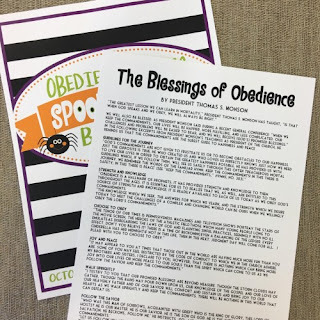 Use this adorable "Don't Eat Pete" game to teach your kids about obedience while snacking on some yummy candy corn.